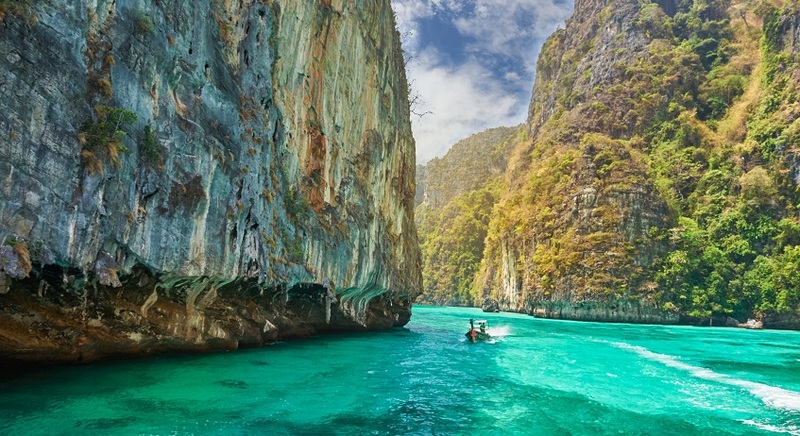 Krabi may not be the first destination that comes to mind when talking about your next holiday – but it should be! Stunning beaches, lush jungles, towering cliffs and mysterious caves. Whether you’re looking for the exotic and exciting, or maybe something more relaxed, Krabi offers that and more. 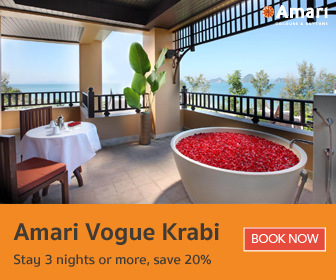 It’s time to start planning your holiday, and we already have the perfect place for you to stay: Amari Vogue Krabi. 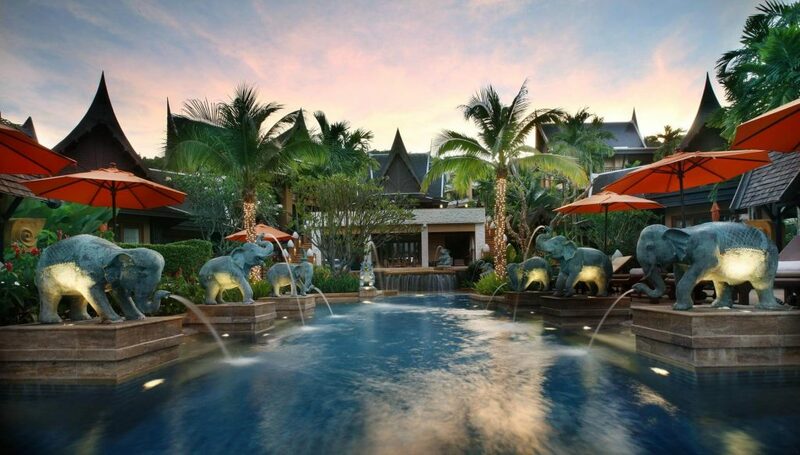 Here are 5 reasons you should stay and play at Amari Vogue Krabi. Guests can stroll along the shore, either for the fresh ocean air or to take amazing photos. 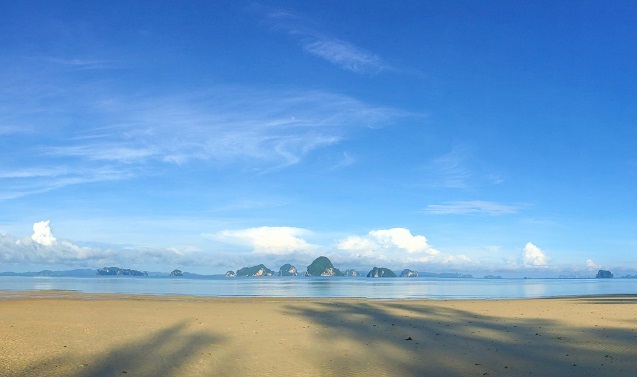 Did you know the famous island cluster of Koh Hong is visible from our beach? Aside from being a key attraction around our hotel, they make for the perfect scenery every sunset. 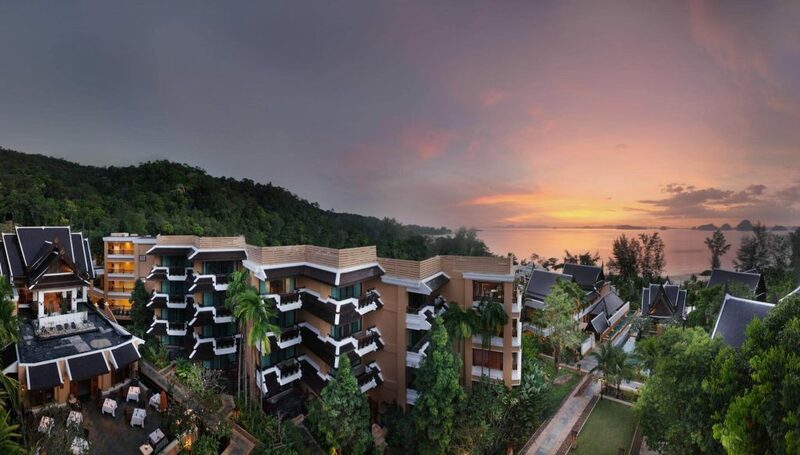 Partially inspired by Lanna architecture of Northern Thailand, Amari Vogue Krabi offers a unique design. Making use of the landscape, the resort starts off high in the Lobby, and gradually declines toward the beach. You’ll also find Bellini Italian Restaurant, Breeze Spa and the swimming pool at the bottom of the hill. 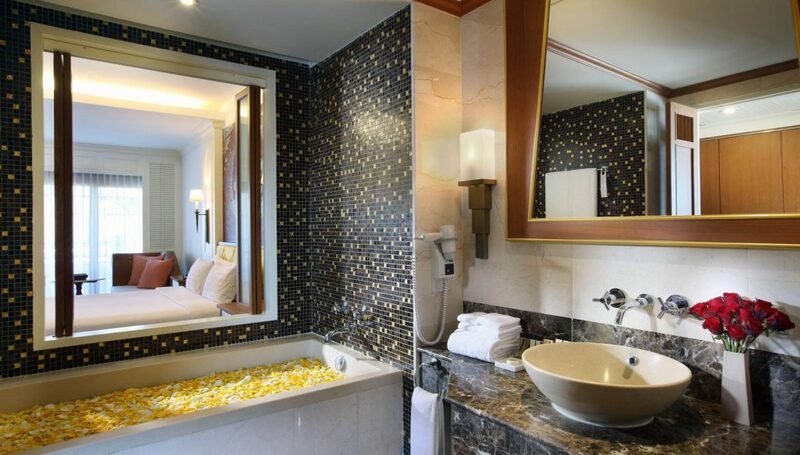 The resort is comprised of 57 rooms in 5 different room types, from the Deluxe room to the One Bedroom Villa. Starting at 50 square metres, Amari Vogue Krabi guarantees spacious escapes surrounded by lush gardens and fresh ocean air. 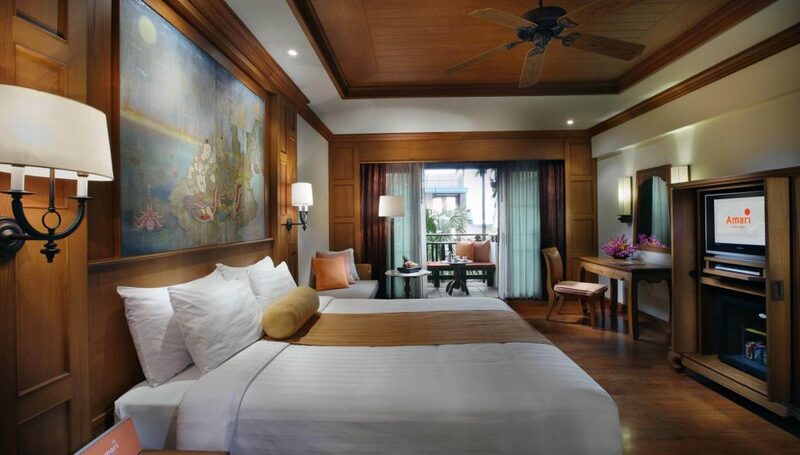 The in-room decor is greatly influenced by the Lanna style, relying on wooden furniture and articulate carvings. All rooms include a bathtub to comfortable unwind in, as well as a private balcony or terrace with either garden or sea views. By the way, did we mention our swimming pool is divided into two parts? The upper half is a dip pool with fountains in the shape of elephant nozzles that are great for massages. This leads down to the lower half, which is a free form pool. Some people are completely content with lounging about by the poolside or tanning on the beach for hours. 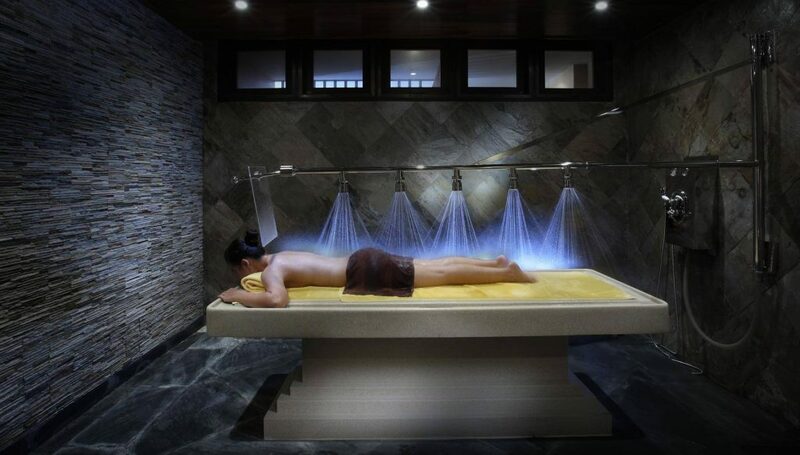 If you prefer, you can visit Breeze Spa for a rejuvenating massage treatment, guaranteed to be energising. We’d like to specifically recommend Vive La Vichy, which makes use of sprays for hydrotherapy. For the active travellers, why not try a hand at our in-house cooking class with Chef Toey? You’ll master a list of Thai dishes in no time! Or, if you’re more of an adrenaline junkie, there are numerous sports to enjoy nearby. Paddleboarding, diving, rock climbing – tell us what you’d like to experience. 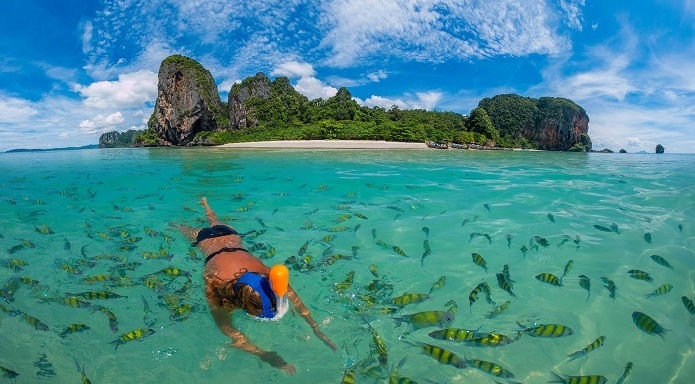 Take it from us: you can’t visit Krabi and not check out the nearby islands! A half-day trip to the neighbouring Koh Hong is a must-do, as it’s only a 20-minute long boat ride away from our resort. Get in touch with hotel staff to set up a ride, as there are daily trips, but you need to reserve a seat. A pure, natural paradise, Koh Hong has clear, pristine waters, lush greenery, and clean, white sands. It’s a great place to explore. Plus, the sea is ideal for snorkelling if you’d like to see the ocean inhabitants. There are thousands of spots around the world where you can enjoy a sunset view. 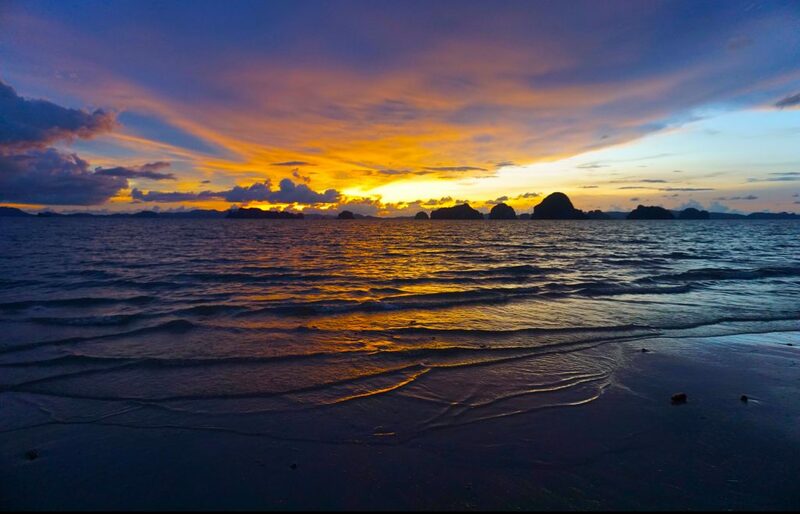 But there is only one Krabi sunset, majestically colouring the sky in vibrant hues, over the calm waves. Each day may offer a different performance in the sky, but none of them is to be missed! They are especially gorgeous and ideal if you’re looking to take breathtaking photos. If you plan on visiting the wonderful Krabi, don’t forget to stay with us at Amari Vogue Krabi for the best possible holiday experience!